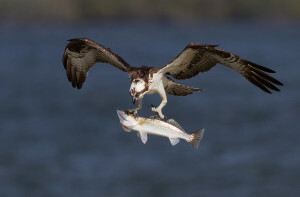 An extraordinary and large fishing bird, the Osprey is commonly mistaken for the Bald Eagle. 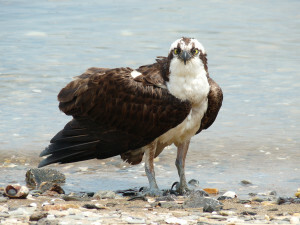 Unlike the eagle, however, Ospreys have a habitat that almost encompasses the entire globe! 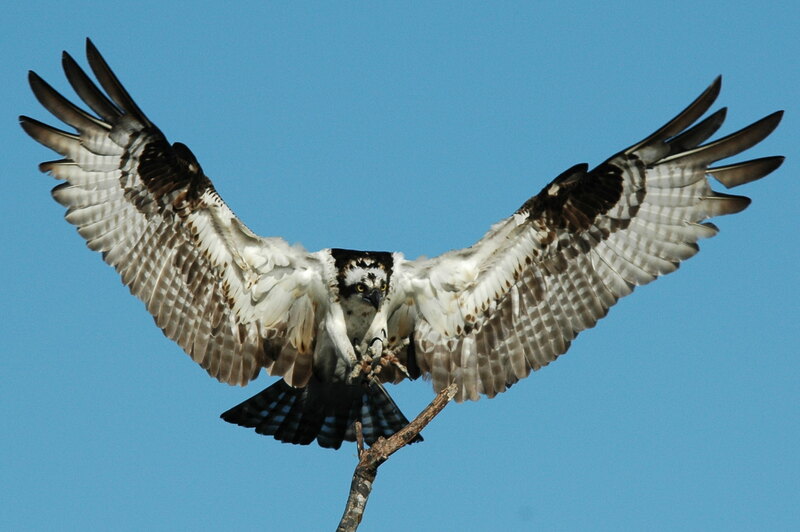 At maturity, Ospreys are about 23 inches in length and have a wingspan of about 53 inches! They are so similar to Bald Eagles in appearance that they are frequently mistaken for these birds. They have a dark eye stripe and their undersides are white. Their wings bend at the wrist in flight, giving the bird’s silhouette an ‘M’ shape. The bend is marked by dark feather coloration underneath, which contrasts with the consistent white. Ospreys generally have brown to black coloration in their upper parts. They have white necks and crowns and females often have a ring or necklace of dark feathers about their throats. All Ospreys have water-repellent, slightly oily feathers and a ‘baffle’ in their nares, which allows them to dive underwater without getting water into their respiratory organs. Their feet are rough and have the texture of sandpaper and are equipped with an opposable claw that allows them to grip fish. Their talons, like their bills, are black. Ospreys have brown or yellow eyes and pale blue ceres.Except for Antarctica, every continent on the globe is home to Ospreys who either nest or migrate there. They have declined due to habitat loss, hunting, human egg collecting, and chemical pesticide residue in their prey. Ospreys are sometimes killed in accidents. They can break a wing if they hit the water at an incorrect angle, or may lock their talons into a fish too large to carry out of the water and become drowned. Females and young can be injured or killed if lightning strikes a nesting tree. 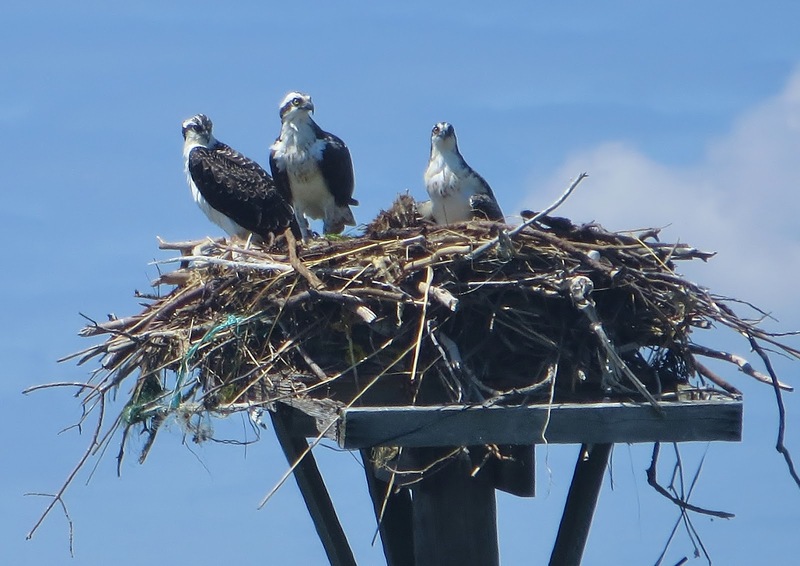 Ospreys return from migratory areas to breeding grounds between April and March, where they will build their nests on any sort of tall, secluded platform near water. This may be a living or dead tree, the top of a hunter’s blind, or even a chimney! 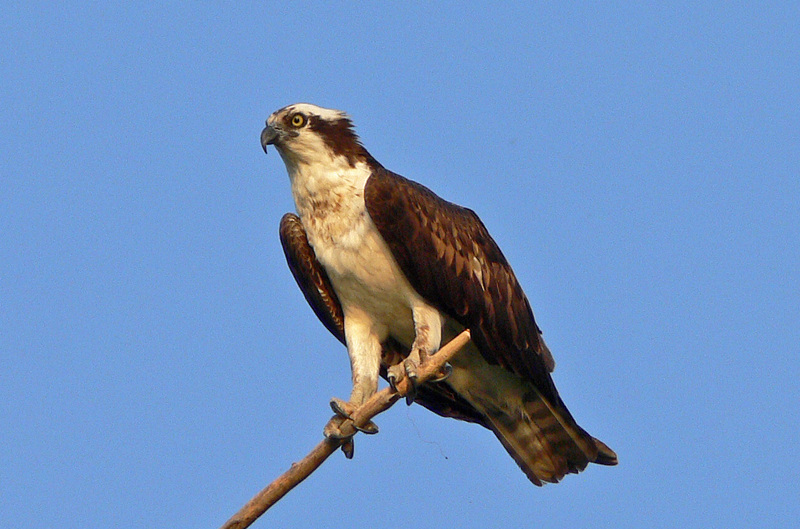 Ospreys lay dark brown blotched eggs, which have a white to pink or even cinnamon base color. Usually, a clutch consists of two to four eggs, which will incubate for about 35 days. 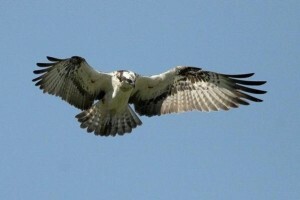 The incubation period varies depending upon the continental location of the Osprey. 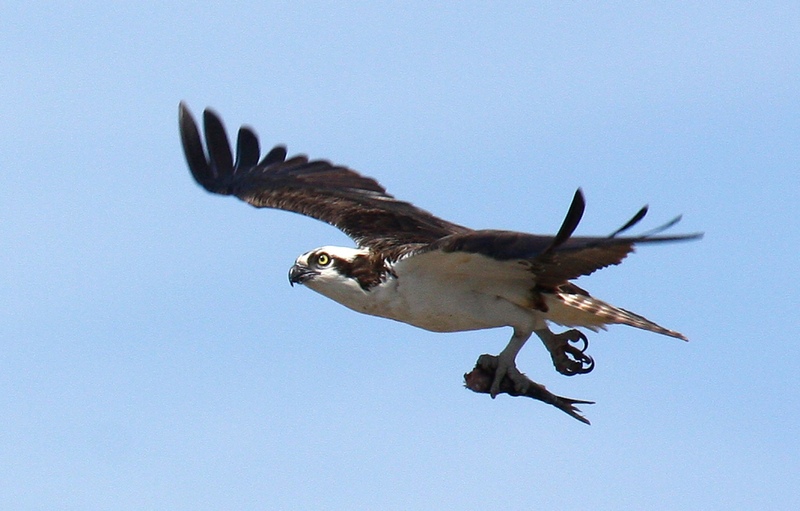 Around 53 days, young Ospreys will attempt their first clumsy flights! By three years of age, they will have reached sexual maturity. Ospreys will defend their nests fiercely and may attack intruders who come near.